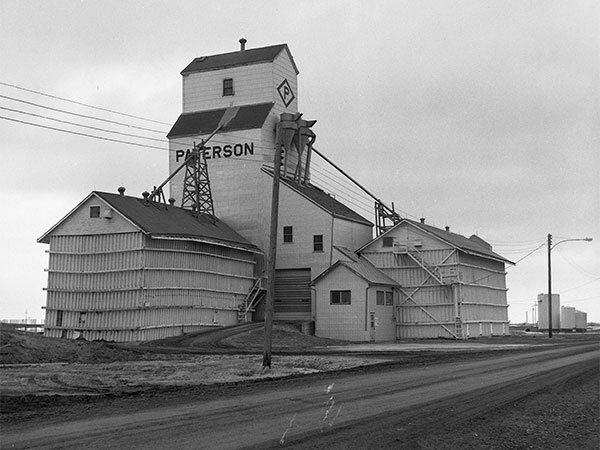 A wooden grain elevator in Minto, in the Municipality of Grassland on the CNR Hartney Subdivision, was built in 1923 by the Paterson Grain Company. In mid-1988, it traded its elevators at Alexander and St. Jean Baptiste to Manitoba Pool Elevators and took over operation of its elevator here. 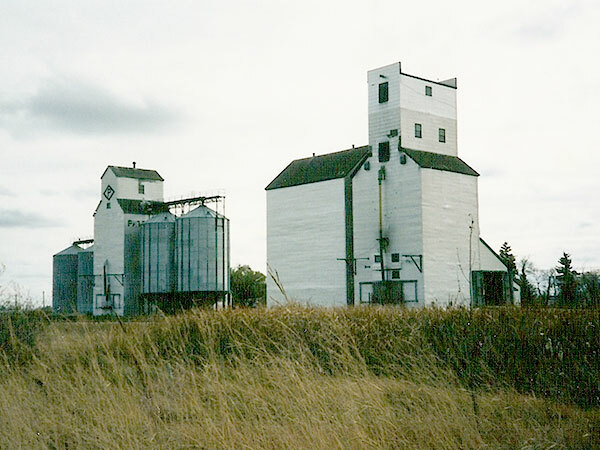 Both elevators were closed in 2005 as the line was abandoned and sold to private ownership. 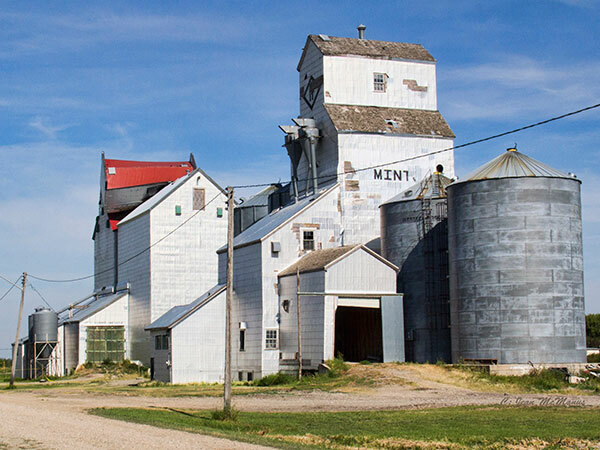 They were demolished in early 2015. We thank Diane and David Rourke for providing additional information used here. This page was prepared by Jean McManus, Mike Lisowski, and Gordon Goldsborough.